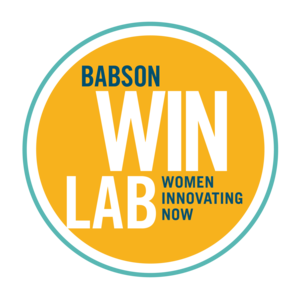 Babson's WINLab, a selective eight month accelerator program provides 20 women entrepreneurs with an inspiring community and a rigorous, experiential process that catalyzes innovative thinking and enables them to successfully launch or transform businesses. At the Food Pitch Contest with the Lawrence Partnership, entrepreneurs come together to showcase their business ideas and compete for a chance to win prize money. In May 2017, Veggie Table Foods came in second place, winning $750! 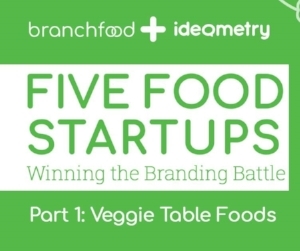 Veggie Table Foods was featured in a Branchfood blog series called, “Five Food Startups Winning the Branding Battle" where founders at rising startups discuss their product development, branding and marketing, and the success stories they’ve experienced so far. 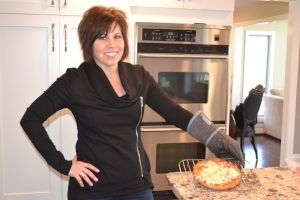 "What if you could grab a slice of pizza and have less guilt? Instead of taking a bite that’s typically high in carbohydrates, you instead could take a bite loaded with fiber?Resident Dale Roseman has come up with a way to do just that. Roseman recently launched her online company, “Veggie Table Foods” that offers products like pizza crust, quiche crust and rolls all made from cauliflower..."
At the third annual Small Business Pitch Contest, hosted by HarborOne U Bank, ten entrepreneurs were selected from a pool of more than 50 applicants to present their business plans to five judges. Each applicant had five minutes to present a business plan and growth strategy. Participants were judged on presentation, marketing and sales strategy and financials. Veggie Table Foods came in second place, winning $1,000!